Back then, the concern was that demand would outstrip supply. But the American shale oil revolution took care of those worries. Now it looks like the opposite is slowly happening. It describes, in broad terms, how technological advances can displace one technology (cars with internal combustion engines) or resource (gasoline and diesel) with another (EVs and renewable energy). Most car dealers will laugh in your face if you tell them this is what’s coming. Five years ago, all of the top oil company CEOs would have scoffed at the idea as well. The biggest energy companies in the world are quietly prepping for change. What is it? It’s the biggest energy consumption shift since the Industrial Revolution. The demand for oil has relentlessly moved higher ever since Edwin Drake pounded a pipe into the ground back in 1859. But that’s all coming to a screeching halt. What’s happening? Almost 200 countries embraced the Paris climate accord. Only the U.S., Nicaragua and Syria don't think it’s a good idea. And only the U.S. doubts that climate change is real. But fortunately, there are people out there with money, vision and the drive to initiate change. People like Elon Musk. Someone had to go first when it comes to sustainable energy. And the climate change problem gets solved quite handily as well with EVs and renewable energy. The amazing thing is that Big Oil economists are now telling their bosses that there’s a paradigm shift coming in oil consumption. And we’re starting to see the first signs that they are changing their business models. It’s not just EVs. New technology is vastly increasing the fuel efficiency of vehicles with internal combustion engines (ICEs). That’s gradually reducing the overall demand for oil. When new global carbon rules from the Paris accord go into effect, EVs will gain market share rapidly, and engineers will continue to improve vehicles with ICEs to dramatically increase fuel efficiency. You see, the growth of Western economies used to be directly coupled to their energy consumption. But that’s not the case anymore. Disruption in several technologies is changing how much energy we use and, more importantly, where it’s coming from. Take battery technology for example. EVs were commonplace 120 years ago. However, the battery technology of the time left them range-bound. Henry Ford’s newly designed Model T with its ICE spelled the end of those early EVs. Now we are seeing the reverse. A decline in oil demand will send shockwaves through the industry. The big question isn’t if, but when. Is Peak Oil Already Behind Us? For investors and oil companies alike, getting the timing correct will sort out winners and losers. Declining oil demand is quickly becoming an industry flashpoint and a focus for energy economists. As with anything in the future, some companies are in denial. 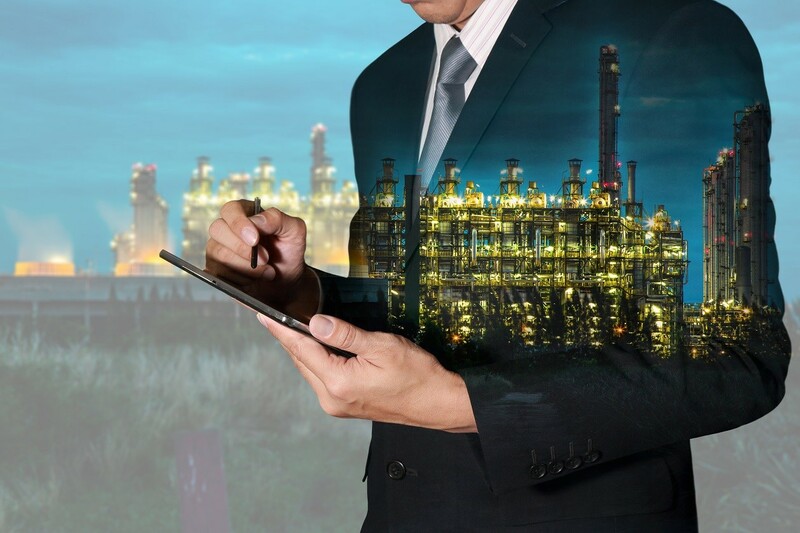 Both Chevron Corp. (NYSE: CVX) and Exxon Mobil Corp. (NYSE: XOM) don’t think peak demand is in sight. The International Energy Agency believes that will actually grow, although it also believes it will slow after 2040. However, some of Europe’s biggest producers think oil demand could peak by 2025 or 2030. Both Statoil ASA (NYSE: STO) and Royal Dutch Shell (NYSE: RDS.A) are focusing on natural gas, solar and wind. BP (NYSE: BP) thinks a peak will happen in the mid-2040s. So I think we could see peak oil demand in the 2025 to 2030 time frame. And based on Fessler’s Third Law of Technology, “New technology is almost always disruptive and transformative,” some Big Oil companies are going to be in a world of hurt. I’ll be writing more on this topic in the months ahead. P.S. In my Advanced Energy Strategist research service, I’m always on the lookout for triple-bagger stocks. For instance, I have an AI stock that is up more than 200% since I recommended it a little more than nine months ago! Some of my recommendations are very small microcaps that could eventually become quadruple-baggers. They are all riding the big energy and technology wave that has no end in sight. To learn more about my service, click here. Let’s look at a recent example of how technological change benefited one company at the expense of another. When the iPhone first came out a decade ago, other manufacturers pooh-poohed it. Nokia Oyj (NYSE: NOK) comes to mind. Ten years ago, it was flying high, selling its smartphones like wildfire around the world. Then along came the Apple (Nasdaq: AAPL) iPhone. Nokia’s global smartphone market share went from about 43.7% at the beginning of 2008 to less than 3% in the middle of 2013. Over the last 10 years, its shares have dropped 78%. Apple just continued to pump out iPhones. It introduced new models every year or so. And it’s still doing so. Apple, which had about 7% market share back in 2008, now enjoys about 20.3%. And Apple stock? It’s up 671% over the same period. How many Nokia stockholders were left holding the bag because they thought iPhone adoption would never become widespread? I’m sure there are Big Oil shareholders out there who refuse to sell their shares. They would mourn the loss of their beloved dividends they’ve received over the years. But you can’t stop technological change. It’s going to happen whether you, President Trump or anyone else thinks it won’t. As I’ve said many times, the internal combustion engine is on its way out. And the ICE cars of today are getting more efficient every year. In other words, gasoline is quickly becoming the “Nokia flip phone” of the transportation industry. And the lithium-ion battery is the “iPhone” that will kill it. That’s why I recommend Lithium Americas Corporation (OTC: LACDF) in my Advanced Energy Strategist portfolio. Politicians and the media believe technological growth stops periodically. Engineers and scientists know it doesn’t. Advances in technology are recession-proof. During the Great Depression, we had the invention of traffic signals, frozen food, insulin, Band-Aids, aerosol cans, electric shavers, Scotch tape, car radios, penicillin and jet engines. Just look at any 10-year forecast for solar energy adoption, EV sales or energy storage prices. Two years from now, they will all turn out to be conservative. And not by a little, but by a lot. Mobile phones: Where would you be without yours? Energy storage is shifting to a commercially viable market this year.